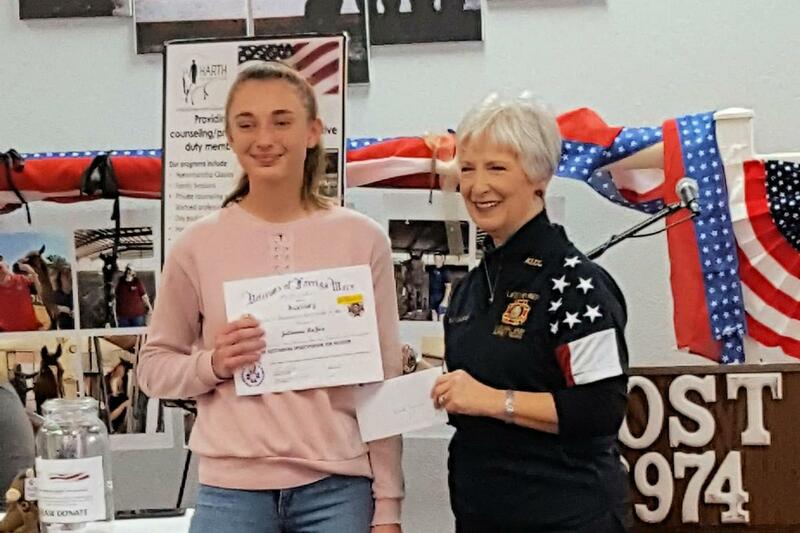 The VFW Post 6974 in Burnet recently held a Voice of Democracy competition that involved BHS students writing an essay over a specific topic and also recording it as they read it aloud. The competition theme was "Why My Vote Matters." 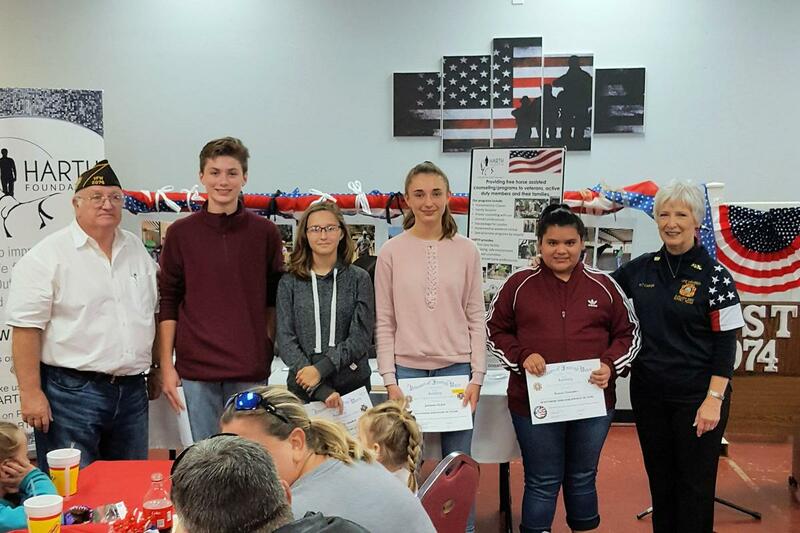 We are proud to announce that three of our students were awarded and recognized at the Veteran's Day celebration held at VFW Post 6974. Jacob Johnson won 3rd place, Adaline Lambert won 2nd place and Julianna LaJoie was selected as 1st place winner. 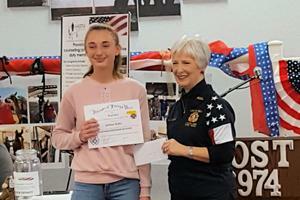 Julianna was asked to ready her essay to the those in attendance.